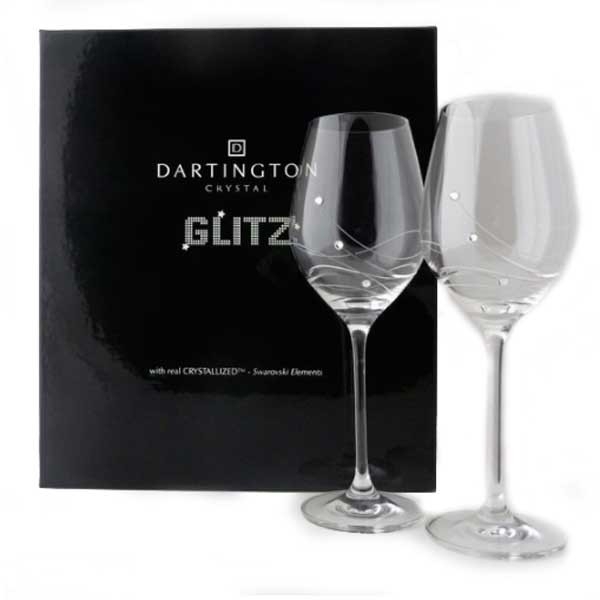 A beautiful pair of British handmade crystal wine glasses from Dartington's stylish Glitz range. Embellished with Swarovski® crystals they are 225mm high with a capacity of 33cl and are suitable for red, white or rose wine. The English Crystal Company, Dartington, make luxury glassware that makes the perfect gift. We can gift wrap too, ask us for the options available!